A chemical peel is a procedure during which an acidic solution is applied to the skin which exfoliates & dissolves dead skin, the solution is then neutralised. There are varying degrees of Chemical Peels which involve different recovery times – superficial, medium & deep. Superficial Chemical Peels: A light or ‘lunch hour’ peel is the lightest form of a chemical peel using glycolic, lactic, and fruit acid peels (AHA) or Salicylic Acid (BHA). The solution will exfoliate the outer layers of the skin to smooth fine wrinkles, exfoliate rough or dry skin, improve the texture of sun damaged skin and balance out pigmentation. A course of peels is often recommended, usually 4-6 weeks between treatments. Superficial peels can be performed by a beautician, the solution will be applied to the skin for a maximum of 15 minutes. The skin will tingle, then the solution will be rinsed and usually followed by a cooling mask and a lovely massage. You should not experience any side effects. Medium Peels: Trichloroacetic acids (TCA) solution is used for medium depth peels. This is generally used to treat skin with moderate sun damage, surface wrinkles, and/or uneven tone or pigment abnormalities. Full-face TCA peels take approximately 15 minutes. Generally, TCA peels are performed in the doctor’s office or in a surgery center as an outpatient procedure. Before applying the chemical solution, the doctor will thoroughly cleanse the area to be treated. A sedative may be given, but TCA peels often do not require anesthesia because the solution itself has a numbing effect on the skin. At first, the patient may feel a warm or burning sensation, followed by stinging. Sometimes two or more TCA peel treatments, at intervals of one to two months, are necessary to achieve the desired results. The TCA peels can be used in varying concentrations, the higher concentrations may require oral or liquid anesthesia medication. Deep Peels: Phenol acid is used for the strongest chemical peel and are usually performed by a doctor or surgeon while under anaesthetic. A dressing will be applied after the peel and great care must be taken while the skin heals to avoid scarring. You must resist the temptation to pick at the peeling skin. It may take a few weeks to recover from a deep Phenol peel but it offers the most dramatic results. Fraxel is the only Laser currently approved by the FDA for the treatment of Melasma. In studies it has been proved to significantly fade Melasma and brown patches on the skin. Each treatment takes approx 30 mins after a topical anesthetic has been applied and taken effect. Fraxel re:fine costs between $750 – $1000 per treatment. Usually 4-6 treatment sessions are required spaced 2-4 weeks apart. Ag3derm Cream targets the pimentation in the skin and destroys the abnormal skin cells which cause it. Application of the cream on the affected area is recommended twice daily for 2 weeks. This is a home treatment, although it is not an option if you are pregnant or breastfeeding. This is not a bleaching cream and does not contain hydroquinone. Although this is a video showing the removal of an age spot, the same principle applies to melasma treatment. 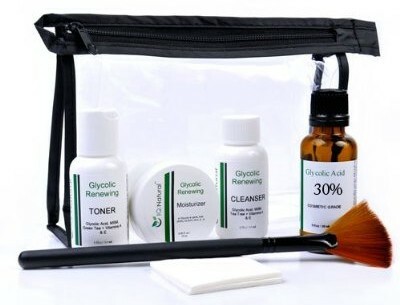 To find out more or to purchase Ag3derm Cream visit www.ag3derm.com. Derived from sugar cane, Glycolic acid is mainly used as glycolic acid face peel and used for the improvement of the appearance of the skin against damage caused by the sun, shcu as melasma, chloasma, age spots, liver spots, wrinkles, pigmentation that is uneven, as well as pimples. Daily use of a glycolic cleanser is recommended to improve the appearance of uneven skin tone, and is a great all round product for improving the texture of skin, unblocking pores and removing daily build up. MD Formulations offer a wide range of glycolic products. Kojic acid is an ingredient derived from fungus. It is formed as a by product of the fermentation process of rice used in the manufacture of sake, a Japanese rice wine. It is a much safer alternative to hydroquinone – which is banned in some European countries over fears of links to skin cancer. When used at low concentrations (1% or less), kojic acid appears to be safe. There is some conflicting evidence regarding its carcinogenicity (cancer causing properties). And, there have been reports of skin sensitivity and sensitization in some individuals. Some natural ways to remove melasma may include natural masks created from foods and substances that you have right at home. Mask suggestion: wash your face thoroughly and take horizontally sliced carrots and tomatoes and place them directly on the discolored area of the facial skin. Simply lay and rest while these natural substances gently lighten the discoloration. Allow the products to stay on the face for 30 minutes before washing your face with cool milk. The cool milk acts as a delicate whitening solution for the skin. Another natural way to remove melasma suggestion is to utilize the power of vitamin E oil. This oil can be directly applied to the facial skin. 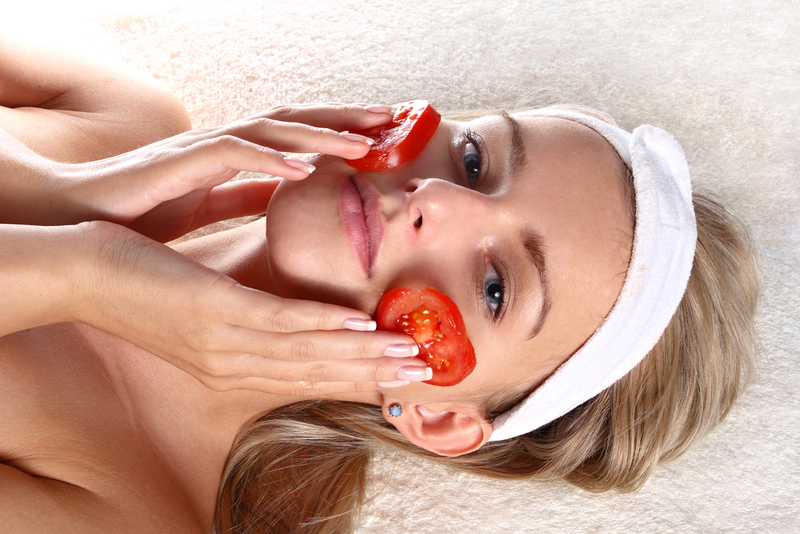 A change in diet may also be beneficial to the beautification of your facial skin. One recommendation is to drink carrot juice daily as this naturally adds pigmentation and color to the skin which may result in a blending of a discoloration as well as a removal of the brown stain on the facial skin.